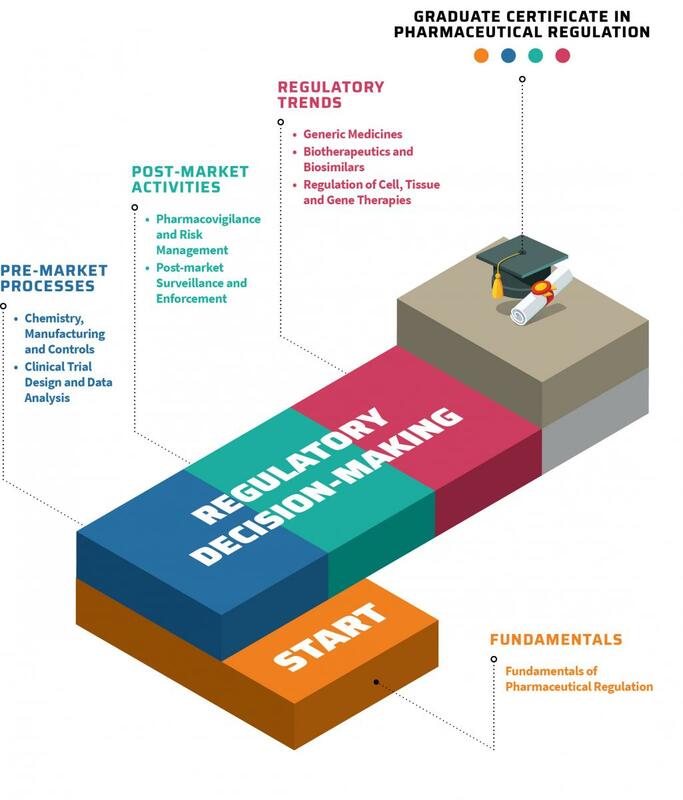 An enhanced understanding of regulatory issues will better prepare you to facilitate innovation and pharmaceuticals development as well as provide a deeper appreciation of the basis of regulatory requirements, contributing to timely research and marketing authorisation decisions to support the healthcare systems. Guided by the Duke-NUS and CoRE education philosophy, the programme aims not only to impart knowledge and understanding, but also to facilitate significant networking amongst regulators, industry and other stakeholders. You will have the opportunity to meet international and regional experts with different backgrounds and these interactions will expand your worldview by providing global and regional insights and enhancing your understanding of different perspectives. The curriculum will promote interdisciplinary inquiry and cover different skill sets and technical areas. Graduates will be more adept at effectively working and communicating within a team with an international outlook, given the diverse and international backgrounds of course participants. The flexible curriculum is designed to accommodate your busy work schedule, allowing you to plan your course of career development to meet your needs and interests. The programme is taught through a blended learning approach, engaging students through an online learning management system that delivers content, enables student assessments, and allows for interaction between students. Each module will also feature a 5-day face-to-face workshop, specifically designed to accommodate the demanding work schedule of your full-time job. The programme structure below outlines the 4 subject areas you will focus on. To graduate, you will be required to complete a total of 4 modules out of the 8 modules offered, which can be completed within a year. $14,445.00 per programme, or $3,611.25 per module. The programme is targeted at early and mid-career regulatory professionals from the public and private sectors who wish to enhance their regulatory competencies. It is also suitable for professionals from the healthcare sector, including biomedical researchers, product developers and policymakers who are interested in gaining insights on the impact and contributions of regulatory science to the wider healthcare environment. Applicants must have an undergraduate Bachelor’s degree or its equivalent in relevant discipline. Relevant work experience (i.e., in the fields of regulatory, healthcare or research) at the time of matriculation into Duke-NUS Medical School is desirable. Applicants from non-English speaking countries will be required to present documentary evidence of their competence in written and spoken English (TOEFL or ILS).